When civil war broke out in Liberia in late 1989, eight native Liberian missionaries of the Church were serving in the country. By July 1990, conditions were so bad that those missionaries were shuttered inside their homes, unable to preach the gospel and forced to risk death just to meet with members. With their work grinding to a complete halt, Elders Marcus Menti and Joseph Myers, zone leaders in Monrovia, determined to go wherever they had to in order to complete their missions and serve as they had been called to do. That meant leaving Liberia, so together with the other four missionaries serving in Monrovia—Taylor Selli, Joseph Forkpah, Roverto Chanipo, and Dave Gonquoi—they devised a plan. With the help of Philip Abubakar, a counselor in the local branch presidency and the missionaries’ driver, the elders planned to travel north to Sierra Leone, cross the border, then continue to Freetown, where their mission presidency had already been compelled to flee. 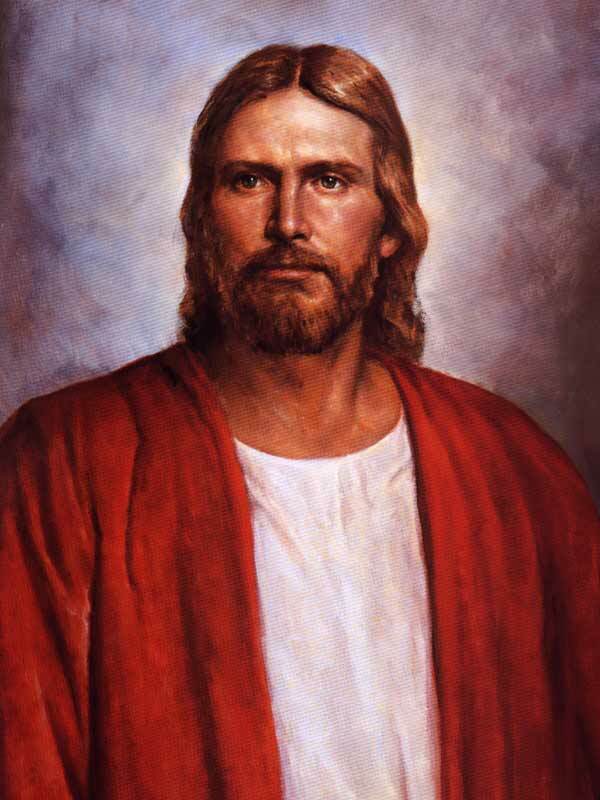 Having served a mission for the Church of Jesus Christ of Latter-day Saints, I realize that it can be dangerous out there. However, when I read the article last year about missionaries who had been caught in a civil war in Africa that had to escape while rebels pursued them, I realized the challenges I faced on my mission are very minimal. The article was very inspiring, and intense. I was excited to learn that there was going to be a movie made from their experience as they overcome severe challenges to escape the country while being hunted down and threatened to be killed by the rebels. I was able to catch up with Adam Abel (known for Saints and Soldiers and other movies), the producer of the movie, along with Garrett Baty (known for the movie, Saratov Approach), the director of the movie. They were kind enough to allow me access to the press screening of the movie and also do an interview with each of them about the making of the movie. As I watched the press screening of the new movie, FREETOWN, which is on limited release and opening in theaters on April 8th, I was amazed at the faith of the elders as they were pursued by their enemies during the civil war in 1989. Their faith and desire to teach the gospel is amazing and the way God protects them while the rebels pursue them and nearly capture and kill them on a few occasions is amazing. 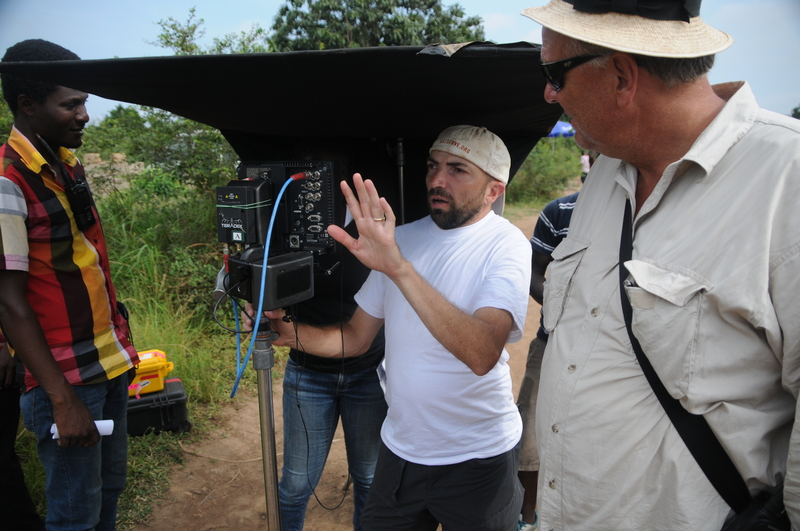 The filming is great and done in Africa with African actors so it has a very authentic feel to it. It is definitely an inspiring movie that is also entertaining with intense scenes/situations. As mentioned, I was able to catch up with both Adam and Garrett. Garrett’s interview is included below with some pictures of the filming of the movie. Adam’s interview will be published next week. What was your inspiration in choosing to direct Freetown? I read a short article about missionaries caught in a civil war in Liberia. I was intrigued because these were African missionaries, in a situation completely foreign to me, yet their motivations were very relatable. After reading their own accounts of what took place, I was determined to retell their experience in a film. In addition to being entertained, I hope they appreciate the courage and determination that these missionaries had. I hope that after seeing the film, people will look at their own challenges, and feel motivated to overcome them. A prevalent theme throughout the film is “Keep Moving Forward,” which is really resonating with audiences. The production process was incredibly challenging, however I recognized daily “miracles” that enabled us to accomplish what we were trying to do. In researching the story, I interviewed a Liberian refugee, now in Ghana, living amongst some of the very rebels who caused him so much loss and suffering. I asked how he was able to live in such close proximity to those who were responsible for his loss. He taught me about forgiveness and moving forward, in a way that I will never forget. He stated “You can’t replace spilled water. If someone drops the vessel, you work together to get a new vessel, and fill it with new water.” His example is incredibly inspiring. It was challenging to be away from family for 6 weeks. Making any film is difficult, and typically it is nice to go home each night and recover from the time on set. When you are half a world away from your loved ones, it give you a lot of time to dwell on the challenges of the day. It was exciting each day to see the footage that was being shot. We filmed a chase sequence with rebels chasing missionaries through a village, and it was a very exciting day on set. Each day’s footage was like opening a Christmas present, especially knowing how difficult it was to obtain each shot. We auditioned over 125 actors for the film, and were amazed at the talent we were able to find. The film features some stirring performances, and the actors handled these scenes very well. We were also fortunate to have several recognizable veteran actors appear in key roles throughout the film. 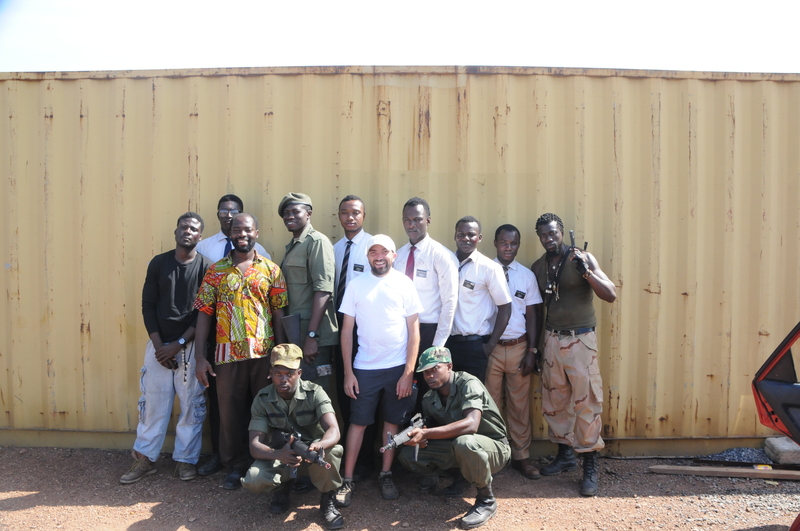 It was fun to have these famous Ghanain actors show up on set and be swarmed by fans. It’s not often that an independent film attracts that type of talent. 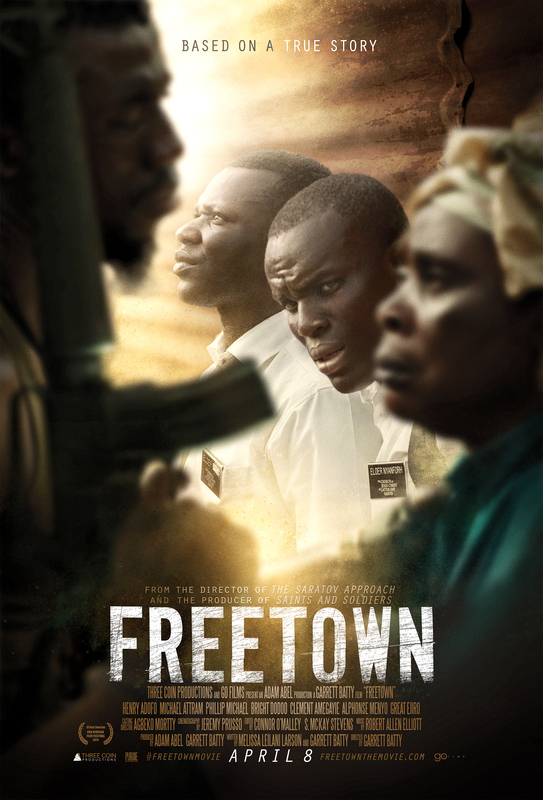 FREETOWN opens in elect theaters across the U.S. on April 8th. We’re very fortunate that AMC, Cinemark, Regal and Megaplex, along with other national chains have picked up the film. Purdie Distribution is distributing the film. 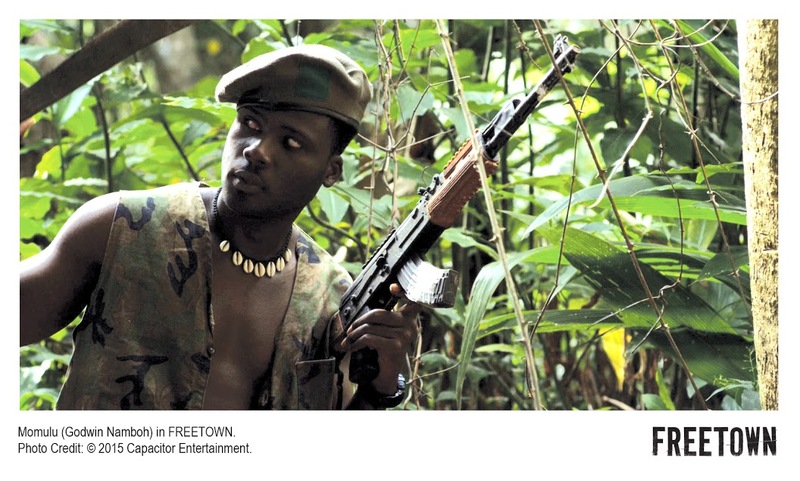 FREETOWN was shot in West Africa, in and around Accra, Ghana. What makes this film unique? FREETOWN is unique because it is an important, faith-affirming story, set in a time and place that wouldn’t typically be inspiring. The Liberian civil war isn’t addressed very often on film, and when it is, usually the focus is on the brutality and harshness of the circumstance. 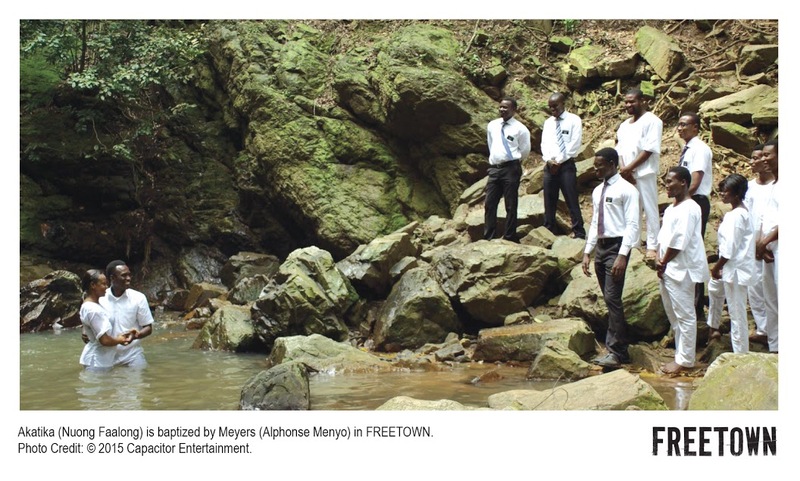 FREETOWN is an experience unlike anything that audiences have seen. How did you select which actors and partners to work with and why did you choose who you did for this film? I approached Adam Able to be my producing partner on this film because of his vast experience in telling war stories with an inspiring message. I chose to work with screenwriter Melissa Lealani Larson after reading a short film that she had written, and seeing that she had a wonderfully honest and unique style. I liked Saratov Approach and feel will like this one. Hopefully someday there will be non-missionary stories told in film, and I write this in the hopes one of the writers and producers read this comment. For instance, a movie about the “candy bomber” or even the church post-WWII with what the Church did then would be amazing.